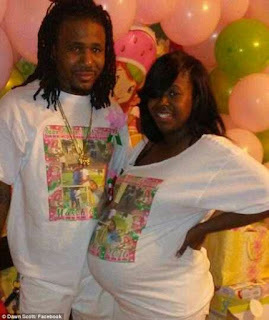 New Orleans couple are murdered in their bed while their newborn baby lay between them - BlogIT with OLIVIA!!! A New Orleans couple were murdered while they slept in the bed they shared with their newborn baby. Dawn Ellen Scott, 28, and her boyfriend, Raynell Kimbrough, 31, were shot multiple times on Monday morning at their home in Kenner.The couple's newborn baby, just three or four weeks old, was lying in between them when they were fatally shot. Scott's two-year-old toddler and a ten-year-old son were also in the house at the time. 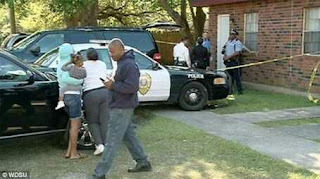 Lt. Brian McGregor, spokesman for the Kenner Police Department, said they are investigating the deaths as a double homicide.The grisly murders were discovered shortly before 7am in Idaho Avenue after the ten-year-old heard the shots and ran in to the bedroom. All three children have been taken in by Child Protective Services.Investigators say the motive of the shooting remains unclear. 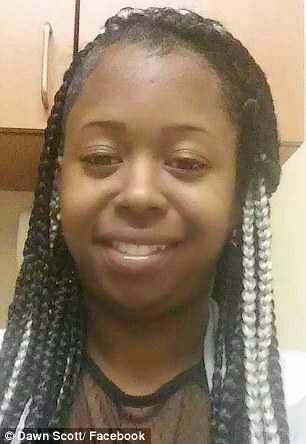 Mother-of-three Scott, who is listed as an overnight associate at Wal Mart on her Facebook page, is said to have been in a relationship with Kimbrough, a warehouse worker, for the past year.Families of both victims are still in shock overthe shooting.